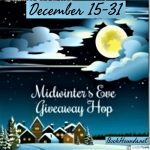 3…2…1 Giveaway Hop – Escape Reality, Read Fiction! 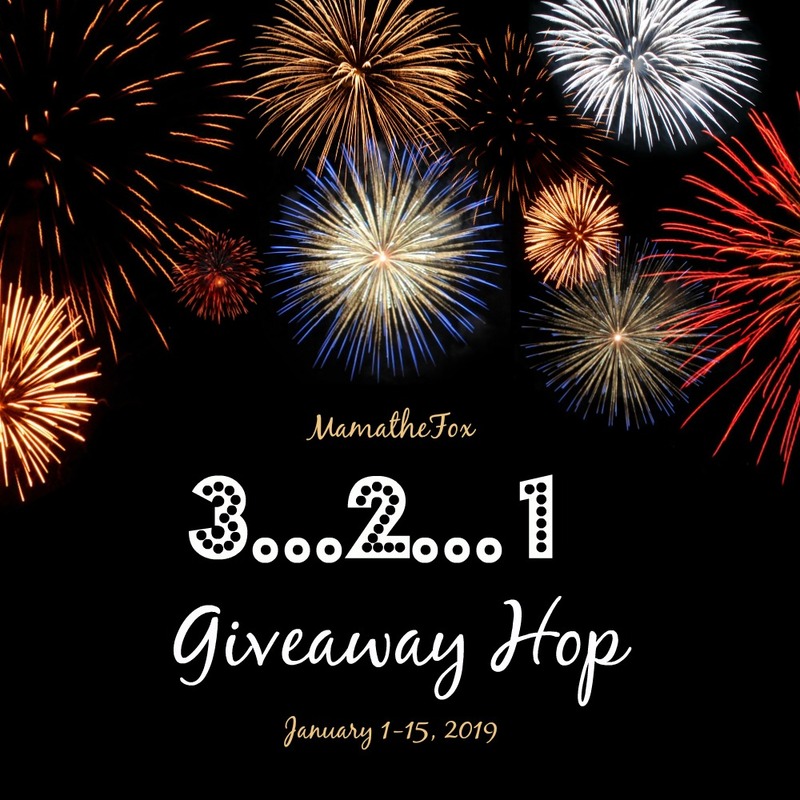 Welcome to the 3…2…1 Giveaway Hop, hosted by Mama the Fox! And it’s the New Year! Welcome to 2019! OMG. I remember when I was a kid, I’d figure out exactly how old I’d be when the century turned, and thought that it sounded so OLD. Now we’re 19 years past that, and I wouldn’t mind being that age now. Or again. Or both. C’est la vie. And better la vie than the alternatives. But today is New Year’s Day. A time for resolutions…and renewal. The old year is done, and the new one has commenced. For me, this year is already off to a better start than last year, as I spent part of January 1, 2018 in the hospital. So things are already looking up! What about you? Do you think this year is going to be better than last year, not as good as last year, or about the same? 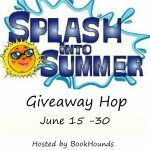 Answer in the rafflecopter for your chance at either a $10 Amazon Gift Card or $10 in books from the Book Depository. After all, it’s never too early to give yourself a treat to start the New Year right! I hope 2019 will be better. It can’t be worse. That’s impossible. Happy New year. I hope my new year is filled with fun times with family and friends, taking risks in work and loads of books. Better in every way. Better health, and more enjoyment. Will be the same if not better, cheers! Im positive it will be a much better year! I hope it will be better! I’m hoping this year will be more healthy and relaxing than last year! I plan to change my diet and take a few more vacations. It is another year to embrace all of life’s blessings as they come..each year has been better than the one before in many ways. Happy New Year!! Im ready for a fresh start. 2018 was a pretty rough year, so I am hoping things will improve a bit for me in 2019. I am trying to face the year with a positive outlook and working towards my goals. 2019 would be better. Have a wonderful year! 2019 is going to be awesome! We are focusing on our marriage, growing our family, finding happiness, and learning not to stress so much! I hope this year is gonna be better than the last! I hope this year will be more rewarding. I’m *hoping* it’s better–but there are no guarantees in life, right? But, best wishes to everyone here for the best year possible. 2018 was a good year and I think 2019 will be about the same. I am not sure but do hope for a better year. I really hope that 2019 is better than 2018. I am hoping 2019 will be at least as good as 2018. I am hoping it will be better. I’m going to work hard to make it a happier year. Last year got harder and harder. I hope yours is a bright new year! I think it will be the same as last year. I hope it is better! I hope it will be better. I’m thinking 2019 is going to be similar to 2018, but I’m hoping for the best! I am hoping that I will be finishing my degree this year. My classes are going to get more intense but I believe that it will be a good challenge and I can’t wait for my next semester to start. I think the new year will be much more positive for me than last year. I am more focused so I think it will be a better and more productive year for me than the last was. I’m hoping better—2018 was rough. It will be even better. I think (hope!) it will be better than last year. I certainly ~hope~ that this year will be better than the last few years have been! This past year was really rough. As far as whether I ~think~ 2019 will be better… yes, I do. I really do believe that it will be. Happy New Year to you, and to my fellow commenters. I always hope for a bit better the new year but as long as it stays like it is, myself raising my 5 kids and them all healthy and happy, I’m good. About the same. Embarking on a new adventure this year but I was working on it at the end of last year. I think it will definitely be a more interesting one. I think this will be a good year. I’m gonna keep pushing forward. This past year was devastating health wise for my family so I’m hoping this new year brings better health news and happiness. Hopefully this year is better. I had a lot heartbreak in 2018. Don’t get me wrong. I had a lot of good things happen in 2018 as well. But I am hoping that 2019 brings much more happiness and less heartbreak. I think and hope it is going to be a better year! This year will be great. Last year was awesome. This year will be so different for me than last year. Last year I was still struggling with our adoption, so many hearings and paperwork and back and forth stuff. This year, we are a family! And we will get to do all the family things we’ve all been dreaming about! I’m thinking 2019 will be better as 2018 had lots of challenges for our family. I am hoping 2019 will be a complete opposite of last year. I hope to continue to have a good life. I’m looking forward to a number of positive events in 2019. Hope everyone else has a good one too!! I think that 2019 will be a lot better than 2018. I made some mistakes last year, that I’ve learned from; so I’m thinking I can only get better resulting in a better year. I sure hope it will be better. I’m going to try to work on my health still and believe my overall health will improve! I’m hoping it will be happier, but it’s already off to a kind of rough start. I am hoping it will be somewhat better. I had a great but very busy year in 2018 (got married and had a baby). I am hoping things in 2019 will calm down a bit. I hope this year will be better than last but I have a feeling it will be the exact same. 2019 is definitely going to be better because we are moving into our dream place in February. This move is going to benefit my family in so many ways! As a whole for USA and world not good, depending on how you look at it. I am hoping 2019 will be better. Although I hope it will be better, I’m expecting it to just be more of the same as external events continue to drag down my mood. I hope it will be better. The last few years have been rather not that great. It’s going to be better. Thanks for the giveaway! I hope this year will be a bit less stressful and will be a time for healing hearts and getting healthier. I’ll have 2 trips this year and only had one last year. It hope it will be a good year. I am ready for a new year! Hopefully things will go good and it will be a great year! able to see my out of state grandsons more. i’m hoping much better than last year. i’m also having my third baby so that will be great! Last year was pretty good so this year has it’s work cut out. We bought our first home, my son graduated, I received my associates degree and my daughter was promoted with high honors to high school. Im hoping it only gets better! This year will be at least a little different. Happy New Year!! I’m really hoping 2019 will be so much better than 2018. I hope this year is way better than last year fingers crossed. Well, it can’t be much worse than last year. I hope every year is better than the previous year. Next year we are going on an Alaskan cruise so I’m looking forward to that. I think it will be about the same as last year for me. I am Hopeful that its going to be a thousand times better than last year. How do you think this year will compare to last year for you? its gonna be way worse for the USA..i know the future! Last year for me was great. I’m hoping this year will be wonderful. Last year was a fine year and I celebrated 40 years of marriage. I hope 2019 is even better with trips and a cruise on the itinerary. I don’t know…this year started out rocky this week and it’s only the first few days. I am supposed to go to an appointment with a team of doctors in the local hospital for palliative care appointments, which to me is just draining on me physically. They want to ‘help’ my Multiple Sclerosis, but it’s a disease that is not curable and only gets worse every year. Oh well, happy new year…I’ve only had this disability for 22 years and no one offered to help me before, sheesh. I think it’ll be similar. Hopefully with no surgeries though. 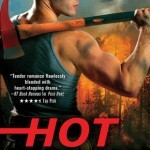 Hope to get out of this terrible book slump. 2018 was good and I am hoping for more good health in 2019. I have always had good health, family, friends and employment so every year is a good year for me. I think it will be my best year yet. I just bought my first home and I have my first niece/nephew on the way. Good things all around. I’m hoping for a good year this year. I think this year will be better then last year. We had a lot of health problems and hopefully we will be healthy this year. Probably just more of the same…but we’ll take it day by day. It better be better than last year..
I’m working towards it being my best year ever! I always hope for better! I’m going to leave that to my father Jesus and just pray that its better, Like way better than last year but what ever it is that I must face, I want to face it with him. 2018 was one of my best years, but I’m hoping 2019 will bring me more financial and personal success! I certainly hope this year is more productive than last! This has started out very well – it will be busier with all the projects, and trips we have planned around our work schedule. Looking forward to each day! I’m hoping it’s going to be a lot better! I am very optimistic for 2019 and hope it will be a better year. I’m hoping 2019 will be a great year. I am thinking and hoping this year will be alot better for me. I hope this year is better. The past year ended with my dad in the hospital so I’m hoping that everyone stays well this year. I am really hoping 2019 brings lots of good! I’ll be happy if this year is as good as the last, I’ll be even happier if I succeed in meeting new goals and expanding on old ones. To be honest with you, I don’t think 2019 is going to be any less tragic than last year. We’ll have to see! My husband has surgery coming up in a week-we should be good to go after that! I think this year is going to be an “easy” year after last years divorce, change in job, town, car. I think this year will be much the same as last. At least I am hoping it is as I had a good year last year :). Last year was pretty bad and I’m hoping that the new year will be better. I think this year will be better than last year. Better health, and more enjoyment. I am hoping for a better year….selling our house….downsizing and retiring in the spring! I’m hoping that this year there won’t be as much illness as it was last year. Hopefully a better year for us all!! Today was an awful day but I hope the year gets better! I am hoping it will be a better year for me financially and organization wise. This year will definitely be better. I think this year of 2019 will be a better year! Hoping 2019 will be a great year! I have a cold and so does the rest of my house so not too good yet. I hope this year is better than last year, for myself and my family. I like to think things are going well, and that we’re building on the good too! I would like to think it would get better. Constantly wondering if I’ll be able to pay the utilities each month is stressful. Last year was good, but this year will be even better. I am expecting my first Grandchild any day now. I am hoping that 2019 is a better year for us. I spend a lot of money on planners and stickers for planners so I really want to use my planner more and not forget about it. This year has to be better than last. I hope this year will be better than the last but it’s off to a rocky start. I believe this year will be better than last year! It will probably be about the same as last year, perhaps a bit more stressful. I’m hoping for a good year! I’m guessing this year will be about the same as last year….and the year before that…. Thanks and God bless! Every day is just another day. A made up year or day or month, has nothing to do with it. I think this year will be joyful and amazing and so much fun. I just know this year will be a great one. I hope to try to have a better year this year by trying to be helpful and kind. I think it will be a better year. I think that this will be a better year. I hope that it will be much better than last year. This year is going to be great. I think some things will be harder, and others will be easier. I hope I grow more as a person this year. I am hoping for fairness and truth in our country. I think it will be a busy year for us and more financially stressful. Things will be worse economically. I think this year will be different because I am majoring in different things. I’m hoping it will be better. I am hoping that it will be better than last year. i dont think many things will be different than last year. I think I can get back in shape because my whole family is behind it and doing sports also. I am thinking 2019 will be very similar to 2018. I think 2019 will show more growth and positivity for myself and my family. The new year started out pretty well for me and mine. Hoping it will keep getting better. I hope things will run smoothly. I always have hope that the new year will be a great year. I suspect that it will be quite a bit like last year, except that there is probably NOT going to be a new baby in the family! Last year was full of ups and downs and I imagine this year will be similar. I think 2019 is going to be a much better year! I’m going to stay optimistic and hope that this year is better than last year, but there’s no telling until it happens. Here’s to the best! I think that 2019 will be a much better year for me. I’m afraid.It is going to be worse. I hope things continue to get better and better as they have been for the past two years. It is going to be less stressful. I changed jobs and while I am making less money, I am home with my family every night instead of traveling and that is worth more than money to me! i think it will be much better because thinking positive will make it more positive. Last year ended with a triple bypass surgery. This year has to be better. I am thinking it will be just as good. I think I will be more financially stable this year then last year. The kids are older so hopefully will get more reading in. I am hoping this year goes better than last year did. I’m hoping it will be better? will see so far? it’s not looking that good. I hope it will be a year of peace for all. This year is going to soar compared with last year for me, I am going into hip surgery on Thursday. Personally and professionally, I’m hoping for a better year! I am hoping that this year is better but hard to tell yet. This year has to be a better year than the last one since I am now retired! I would love to have a great year. I am hopeful that the good parts will increase and the bad parts will decrease.